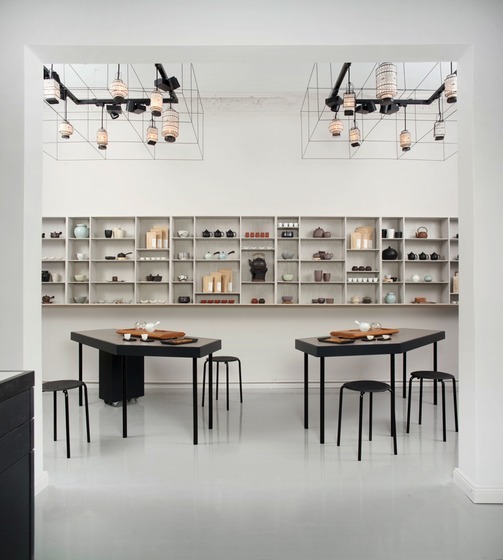 P & T ́s mission is to make fine teas and tea culture more accessible and rewarding to a broader audience. 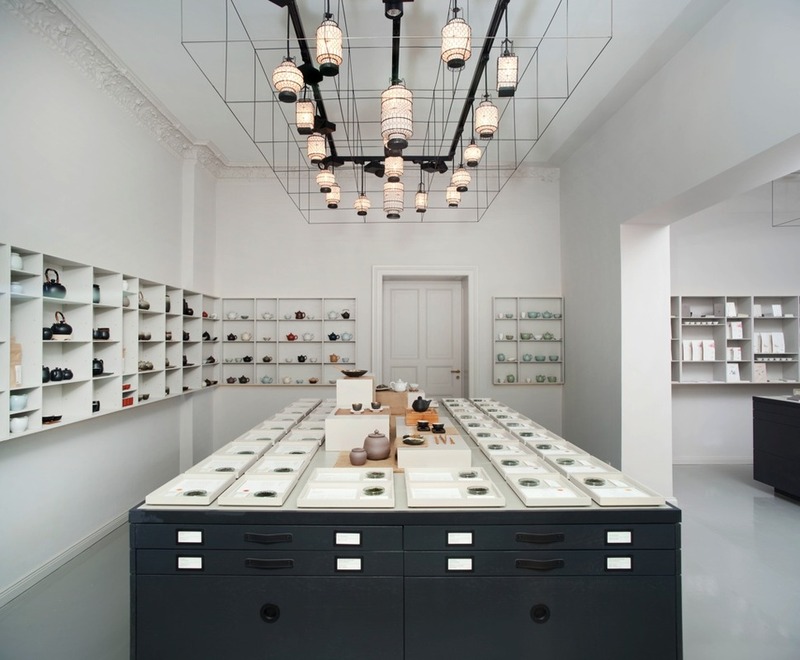 Departure point of this vocation is the brand’s concept store on Bleibtreustrasse in Berlin, Charlottenburg, surrounded by exclusive boutiques and stately architecture. We intentionally broke with the conventional `apothecary´ over the counter mold, instead, opting for a model that encourages exploration and dialogue, information and experience: a new concept for making premium, orthodox teas accessible to an ever growing following. Customers are invited to smell the individual teas on display, read about their origins, production processes and their tasting characteristics or sample a particular tea, expertly brewed and served by a 'teaist' at one of the tea tasting stations in the Chinese and Taiwanese style of Gong-Fu. The presentation cubes are accompanied by light wire frames that host the functional lightning and swarms of traditional Chinese lanterns which give the installation a poetic note. 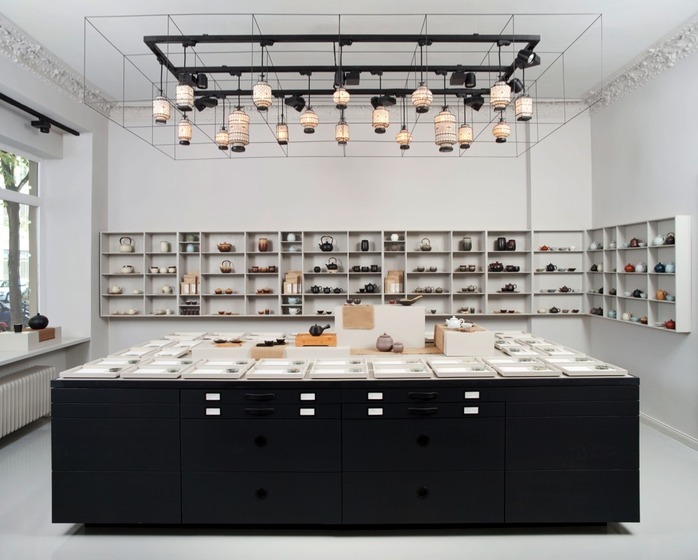 By responding to the cubic furniture in the 3rd dimension these frames put once more the focus on the laid out teas and objects.